Consumers who venture outside home country need to comparison shop for visitors health insurance to get the best deal. Unless you choose to go with a particular visitor medical insurance plan that you have purchased and used in the past visit to USA or another country, independent visitors insurance policies come in a wide assortment of configurations. Many times, there are changes to same policy that you are used in the past and might be different in certain benefits going forward this time. Compare the options that are most fitted to your health care needs as a visitor to any host country. To find more affordable premiums you should raise your deductible for visitors insurance coverage. It is possible to considerably reduce visitors health insurance premiums by increasing the deductible. Your premium will be lower, but you will pay more for medical services. Also remember that fixed benefit plans have scheduled benefits as listed in the plan brochure, they also have lower premiums when compared to comprehensive coverage plans. If you and your spouse are visiting USA or traveling to a foreign nation together, it makes sense to buy a single visitors insurance plan for both. However, if your spouse is not traveling on the same exact dates as you or if your and your spouse fall under different age brackets for quoted premiums, it is wise to quote and apply separately for you and your spouse for coverage under your visitors medical insurance. It is not any more economical for you and your spouse to obtain individual insurance plans, though you may save some renewal fees when it comes to extending the plan twice, so compare costs under both circumstances. 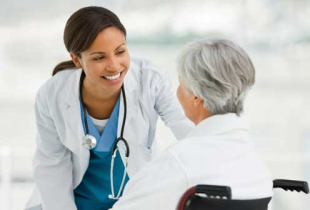 Comprehensive coverage visitor insurance plans have PPO networks of doctors, labs, hospitals, urgent care, and other caregivers in the provider network. If you like and trust a particular physician that you would like to see specifically, then the ability to choose this provider is an essential consideration in choosing your next visitors insurance coverage policy. Ask the doctor office to confirm if he or she belongs to the insurance company provider network of the chosen plan. It's important to be knowledgeable and prepared when it comes to choosing a visitors medical insurance policy. As you begin the process you should have all of your need information such as passport numbers, date of birth, etc at hand, know what you need and want in visitor health coverage, and be prepared to do some research on the companies you're selecting from before you make a final decision. Determine the specific visitors medical insurance policy that would best serve you. To save money on your visitors medical insurance premiums, opt for catastrophic fixed benefit coverage rather than comprehensive policy. Scheduled benefit coverage only kicks in for emergency care and hospitalizations with limits on the benefit amount, whereas comprehensive coverages includes coverage for prescriptions and visits to the doctor, all usually covered up the plan maximum selected. Go online for visitors health insurance quotes; you can search for the best coverage at the most affordable price. Visit VisitorsHealthInsurance.com to review plans of several companies and get quotes for several companies. Before choosing a visitors insurance coverage policy, you need to know the coverage details. Having the coverage that will cover incidents like these will make all the difference in the affordability of any downtime that you may incur.